Emma has many endearing qualities but one of our favorites is how she loves to snuggle. She just kind of melts into you. 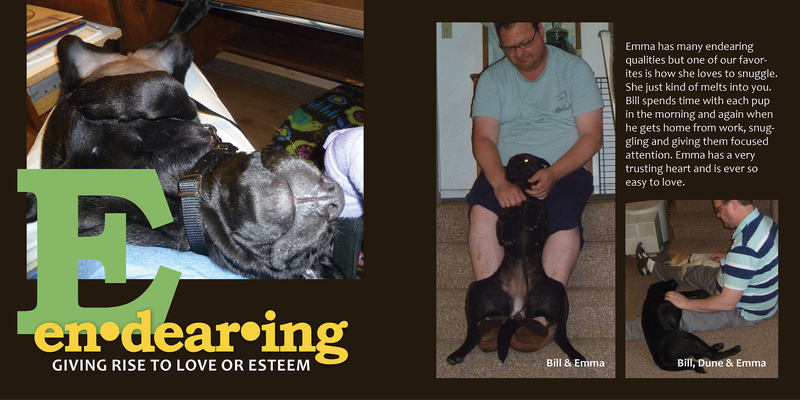 Bill spends time with each pup in the morning and again when he gets home from work, snuggling and giving them focused attention. Emma has a very trusting heart and is ever so easy to love.